Enables you to run a site online having all the details. Lets you create and maintain databases. Shopping cart for e-commerce websites. Almost all companies need a computer permanently linked to Internet even if they are not web service providers for sending their email and other files. So, computer may be used as a website host by them for providing details about their services & goods. This could add to their business as clients can place their orders online. Catering to all your web hosting needs Goya Communication Solutions, an ideal web hosting company india, provides comprehensive web hosting solutions, Linux web hosting, Window Web hosting and Reseller Web Hosting services india. Goya Communication Solutions is a leading name for web hosting in India known for the wide range of web hosting services at affordable prices. We offer highly specialized hosting services geared to meet all the requirements of large and small enterprises, organizations and individuals alike. We are fully equipped to deliver customized web hosting solutions in keeping with the requirements and budgets of our customers. 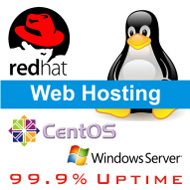 Our services include - Shared Web Hosting, Reseller Web Hosting and domain name registrations. Since inception in 2005, we at Goya Communication Solutions have consistently worked towards developing highly reliable, cost effective and innovative web hosting and technology solutions for our customers in India. We have established ourselves in the Indian web hosting industry as a leading hosting provider known for the best uptime, reliability and expert 24X7 customer support.